The ideas he inculcated in Yasser Arafat and others were successfully transmitted to the current generation of terrorists. 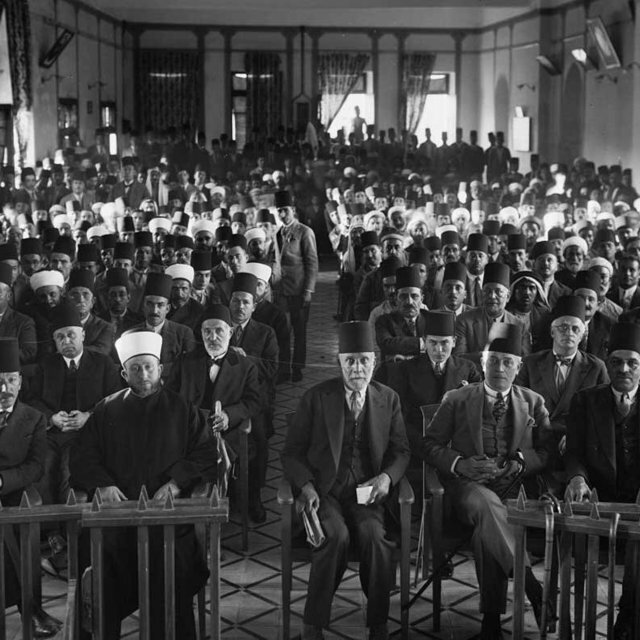 In 1922, when the League of Nations pledged itself to the Jewish right to self-determination in their own ancestral homeland, there were about 300,000 Arabs living in Palestine, and 14 million Jews in the Diaspora. But there were other, darker voices. Haj Amin al-Husseini, scion of the powerful Husseini clan, quickly rose to prominence as leader of pan-Arab nationalism. He argued for an Arab nation comprising Iraq, Syria, Transjordan, and Palestine. A virulent anti-Semite and anti-Zionist, he was instrumental in inciting Arab discontent and directing it toward violent action, calling for a holy war against the Jews. 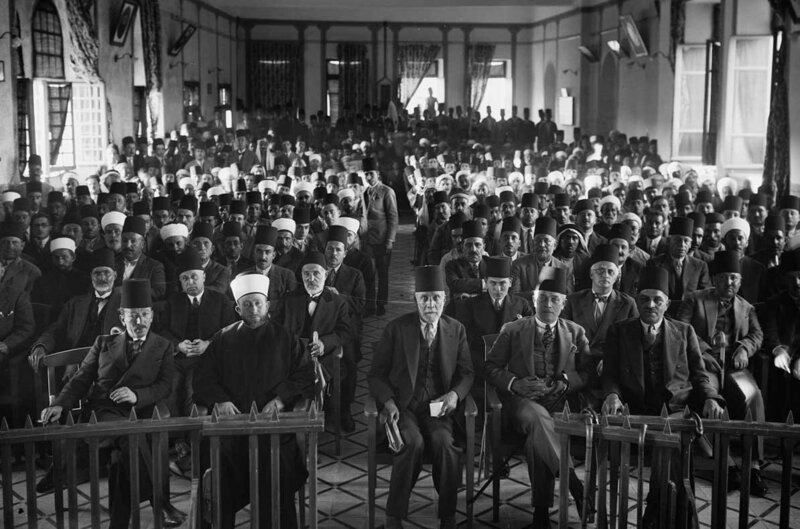 Al-Husseini was sentenced to a ten-year prison term for his role in the 1920 Nabi Musa massacre, but was ironically granted amnesty and appointed Grand Mufti of Jerusalem and president of the Supreme Muslim Council by the Jewish High Commissioner for Palestine in an effort to solicit his cooperation. The Mufti in turn used his position to punish other clans, and assassinate Arab leaders friendly to the Zionists or not totally loyal to him. He raised funds from the international Muslim community to renovate the Temple Mount, which had fallen into disrepair over the centuries of Ottoman rule, and had the Dome of the Rock gilded to enhance Jerusalem’s standing in Muslim eyes. He then fomented tensions between the Jews and Muslims by claiming that the Zionists wanted to destroy al Aqsa and build a third Temple. He incited the 1929 Hebron Massacre as well as the 1936-39 Arab riots and general strike. Al-Husseini tirelessly worked to destabilize British rule, and openly declared jihad against England when the Second World War broke out. After the defeat of Nazi Germany, Al-Husseini, now wanted for war crimes, managed to evade capture, and settled in Egypt, where he arranged for asylum for many Nazi leaders, ostensibly under the aegis of the Odessa Network. The Mufti co-founded, and was president of, the Arab League, which launched an invasion of the fledgling Jewish State the day after Ben Gurion declared statehood. He also worked with the Muslim Brotherhood. Among his disciples were Yasser Arafat and Gamal Abdul Nasser. The ideas he inculcated in these men and others were successfully transmitted to the current generation of terrorists, and perpetuated the indoctrination of Arabs toward uncompromising hatred and struggle against any Jewish presence in the Arab world. Al Qibla, March 23, 1918, as cited by Battlegound: Fact and Fantasy in Palestine, 125. Faisal-Weizmann Agreement, Jan.1, 1919, text reprinted in Wikipedia. Leni Yahil; Ina Friedman; Haya Galai, The Holocaust: The Fate of European Jewry, 1932-1945. (Oxford University Press: 1991), 676. Walter Laqueur, The Israel-Arab Reader: A Documentary History of the Middle East Conflict, (Penguin Books:1970), 106. Bernard Lewis. The Jews of Islam,(Greenwood Publishers: 2002), 190. Howard Morley Sachar, Aliyah: The People of Israel, (World Publishing Company:1961), 231; Moshe Pearlman, Mufti of Jerusalem: The Story of Haj Amin el Husseini, (V Gollancz: 1947), 51. The Weekly Standard, “Netanyahu and the Mufti: A Primer,” 10:18 AM, Oct 23, 2015.